Is it appropriate that the entire burden of low student achievement be placed on the school, teachers, and staff? 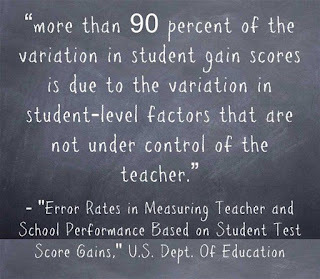 Is the cause of low student achievement the school's alone? Without a plan to act on in March, the state education board could consider other steps for Navarre: closing the school, taking it over and assigning a group to operate it, or merging the school with a higher-performing one. WILL HOOSIER TEACHERS STAND UP FOR THEIR PROFESSION? As pay debate plods on, Indiana teachers unions want more. Will they walk out? 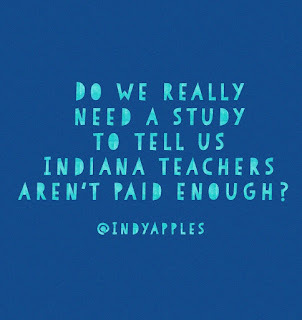 Will Hoosier teachers ever stand up for their profession? Or will they continue to validate state legislators’ opinions that teaching is for losers and that their students and public education don’t matter? In a fiery Facebook post, Kokomo teachers union president Nicki Fain Mundy tallied the toll: It took her 14 years and a master’s degree to crack a $50,000 salary. The numbers tell her that she’s making far less than college-educated professionals in other fields. She fights for small raises but watches her pay disappear when insurance costs rise and when the rising cost of living bites deeper and deeper into her paycheck. Indiana’s legislative leaders are pledging to find money to increase teacher pay, which, at an average salary of around $50,000, ranks the lowest among neighboring states. But so far, their proposals have included studying the problem, asking districts to save money to fund the raises, and funneling small increases to schools in the hopes that teachers could get pay bumps. These lukewarm proposals, plus an overall concern that Indiana lawmakers don’t value teaching, could create conditions that lead to a teacher walkout. State teachers union leaders aren’t encouraging action just yet, but other local leaders say they want lawmakers to know that teachers are fed up and fired up. An indictment of our legislators on the subject of public education and teaching in Indiana. 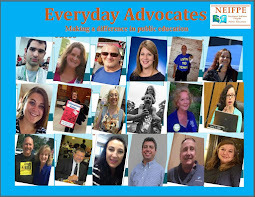 "I felt overwhelmed by what the legislators were inflicting on us, the lack of true support from administrators, and just the stress that is teaching even in the best of times. Most of all — I was exhausted, I guess. Death by a thousand cuts, more or less." More money for charters. More money for vouchers. 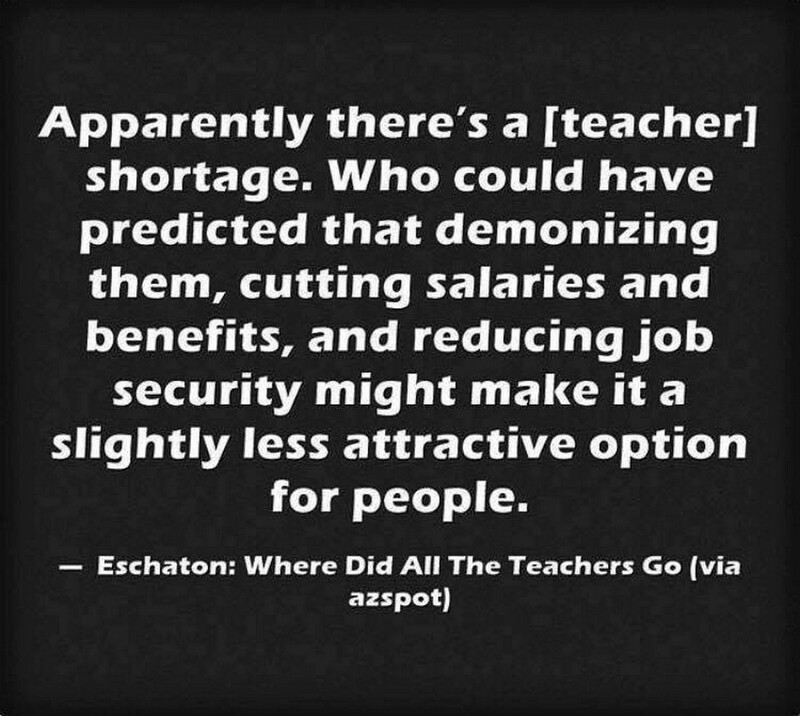 Teacher salaries will have to wait. The legislature isn't going to help. Indiana legislators add more money to the nation's largest voucher program. 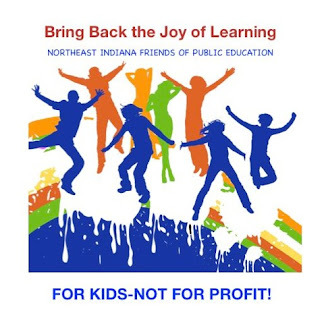 The ed reform in Indiana through vouchers and charter schools has yet to be "evaluated" by the legislature which funnels tax money into private pockets. Students whose families make up to 150 percent the free-and-reduced-price lunch cutoff can get a voucher worth 50 percent of state per-pupil funding for their local public school district. 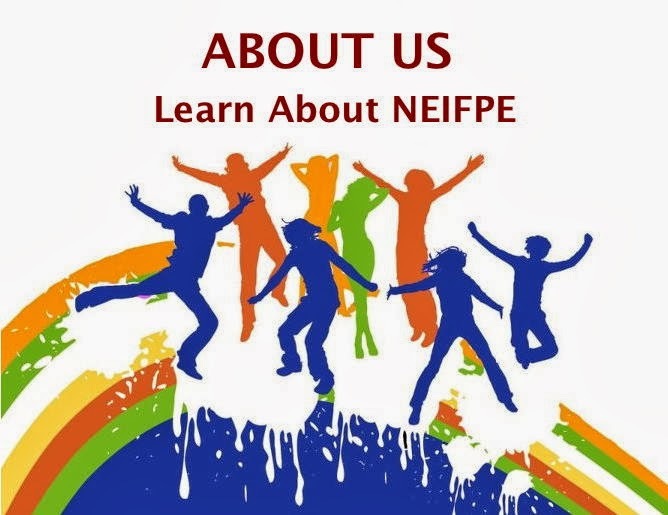 Under the proposal, students from families that make up between 100 percent and 125 percent of the cutoff would qualify for an “intermediate voucher” worth 70 percent of state per-pupil funding for the local public schools. DISCRIMINATION OK WITH INDIANA LEG. The reform policies adopted and supported by Hoosier legislators termed “an unmitigated disaster.” It's time to start voting for people who respect public education, teachers, and children. Harvard professor Daniel Koretz is on a mission: to convince policymakers that standardized tests have been widely misused. In his new book, “The Testing Charade,” Koretz argues that federal education policy over the last couple of decades — starting with No Child Left Behind, and continuing with the Obama administration’s push to evaluate teachers in part by test scores — has been a barely mitigated disaster. The focus on testing in particular has hurt schools and students, Koretz argues. Meanwhile, Koretz says the tests are of little help for accurately identifying which schools are struggling because excessive test prep inflates students’ scores. Indiana: Just How Corrupt Are Our Elected Officials? 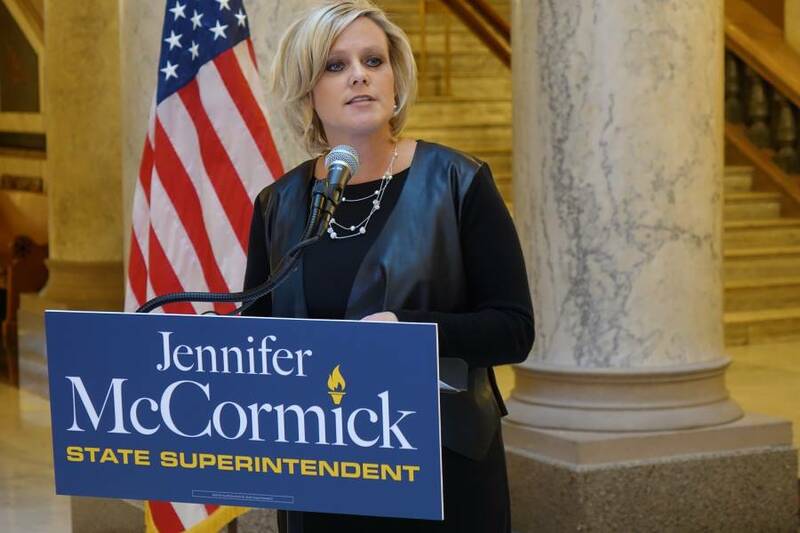 State Superintendent of Public Instruction, Jennifer McCormick, a Republican, has strong words against her party colleagues in the legislature. 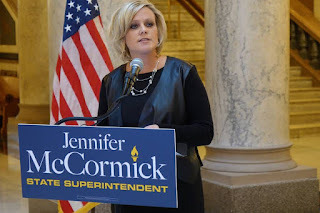 McCormick, a Republican, blasts Indiana Republican lawmakers by saying they aren’t about helping kids or schools, they’re about making deals with edu-businesses at the expense of our children. A Republican in the driver’s seat of education is bearing witness to the corruption in Indiana’s education system. Hopefully voters will listen. The Republican party in Indiana is no longer about “small government” or “family values,” they are about backroom deals and crony capitalism. Will the Indiana General Assembly find enough money to allow K-12 public schools to pay teachers more and to provide stable programs? That is the overriding question as the new two-year budget takes shape. The outcome is not clear. The K-12 budget increases listed below for the past twelve years have not provided enough to pay teachers properly. Thus, there is urgency in finding more K-12 money in this budget cycle. The proposed budget from the House Ways and Means Committee will be unveiled tomorrow, Feb. 19th. The budget proposed by the Senate is expected around the beginning of April. The compromise budget putting the Senate and House versions together is expected near the end of April. I hope you will be involved at each step in asking legislators for a 3% increase in K-12 funding. 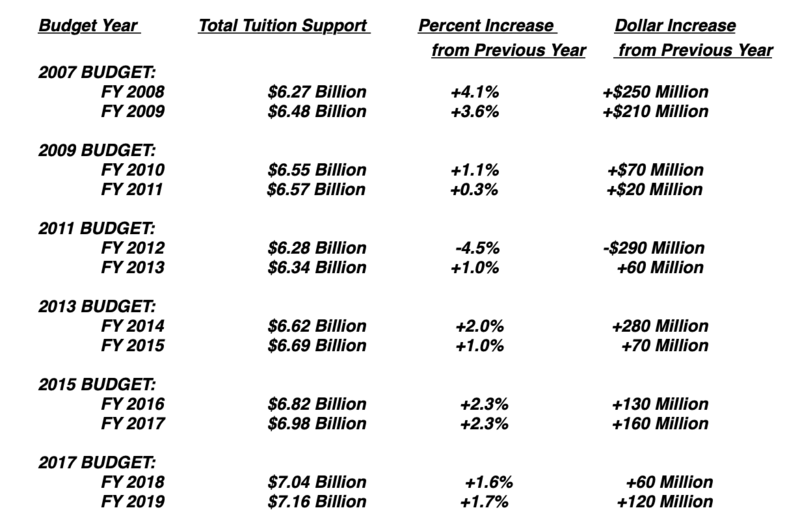 How Big Will the K-12 Increase Be? On Wednesday February 6th, the public hearing was held on requests for the new budget in the House Ways and Means Committee. Joel Hand, representing the Indiana Coalition for Public Education, testified about the importance of increasing K-12 tuition support by 3% in the budget. State Superintendent McCormick had asked for a 3% increase back in October. 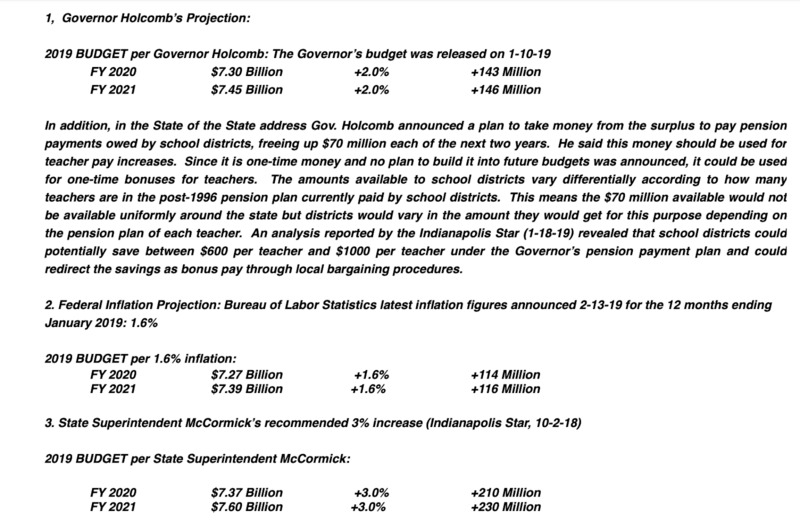 Governor Holcomb, in his budget plan released on January 10th, called for a 2% increase in K-12 tuition support, totaling $143 million in the first year and an additional $146 million in the second year. In addition, he recommended that money from the surplus be used to pay 2% of school district pension payments, out of 7.5% owed by school districts, which he said would free up $70 million in each year of the budget for districts to use to give raises to teachers. 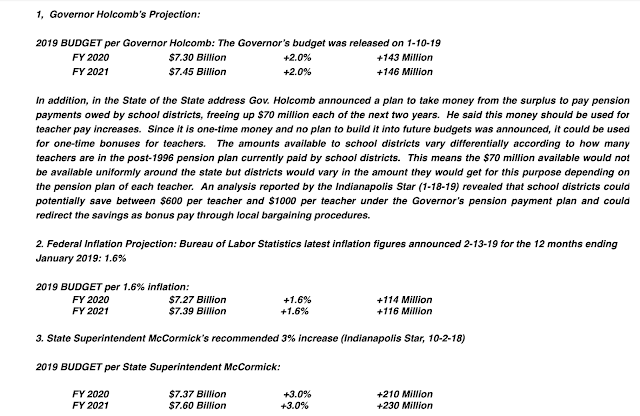 This was a far better proposal than Speaker Bosma was talking about in November when he said at most there would be only a 0.7% increase in K-12 for next year. Tuition support and dollar increases have been rounded to the nearest 10 million dollars. 1) The Governor’s plan to free up pension money will provide potential bonuses for teachers on top of their base pay. Since it is one-time money, $70 million each year, there is no guarantee it can be continued in the next biennium because it is not in the ongoing budget or the line item for K-12 tuition support. 2) House Bill 1003 proposes to flag superintendents and school boards that spend too much on “operations” and too little on classroom spending that can be used for teacher pay. 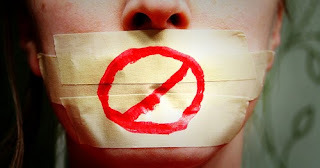 The penalties involve being called before the State Board of Education for public shaming. The problem is that “operations” is defined to include spending on school safety, bus safety and public information for parents in our competitive school marketplace established by the General Assembly when the school choice voucher law passed in 2011. No superintendent or school board should be given incentives to cut back on school safety, bus safety or parent information. It’s a bad idea that has passed the House but is absolutely tone deaf to the intense calls for improving school safety, bus safety and parent information. HB 1003 should be killed in the Senate with your help. With this background, you are ready to ask House members this week and Senators later to put at least a 3% increase in the budget for K-12 funding. This article is behind a paywall. You can find it reprinted HERE. Significantly, Indiana’s adjusted average salary was well below that for teachers in surrounding states. SHOULD INDIANA TEACHERS STAND UP FOR THEMSELVES? 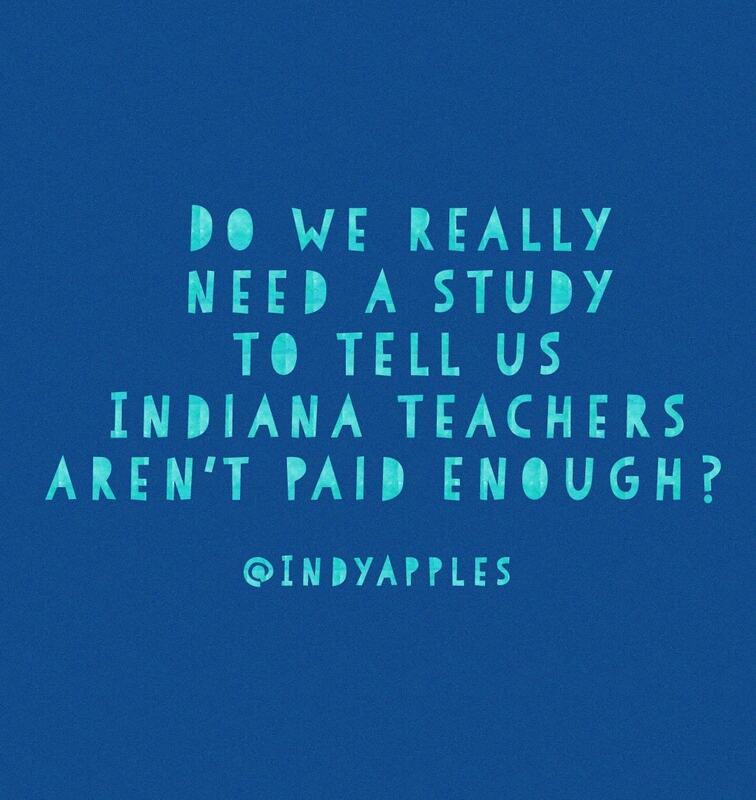 Would you support teachers in Indiana standing up for themselves and for their profession? Some teachers accuse lawmakers of damaging the teaching profession through past laws that weakened unions’ bargaining powers, handed down testing mandates, and hinged teacher evaluations on student test scores. Lawmakers, they point out, also determine education spending levels, deciding to fund public schools mostly through the state, capping local property taxes, and sending public education dollars to charter schools and private school vouchers. What a shame that the legislators we’ve voted for have stolen the funds that would provide more arts in our public schools and given those dollars to private groups instead. State lawmakers on Monday nixed a proposal that would have required private schools, or any school that accepts state funding, to have the same types of rules against bullying as public schools. Would this ever happen in a wealthy community? Meanwhile, Roosevelt students in grades 7-12 will begin classes Thursday at the Gary Area Career Center. In September, a school official said Roosevelt’s enrollment was 568. A state lawmaker has a controversial approach to keeping kids safe at school. He wants teachers to learn how to use a gun. The state representative from Seymour said his bill would not require teachers to take handgun training but would allow the school district to tap into state money to pay for that training. A year ago this week, a gunman killed 17 students and staff members at Stoneman Douglas High School in Parkland, Florida. In May, a teenager shot a student and teacher inside Noblesville West Middle School. "This gives the teachers, the staff, the school employee the ability to protect themselves in the horrible event of a school shooting," said Republican state Rep. Jim Lucas. Should Indiana teachers carry guns in the classroom? It’s a question that comes with strong opinions on both sides. Now Indiana is one step closer to giving teachers that option. “When evil comes calling at the classroom door it has to be met head on with people who are armed and trained,” said high school teacher Aron Bright. • Charter schools take resources away from the public schools, harming public schools and their students. All charter schools do this – whether they’re opportunistic and for-profit or presenting themselves as public, progressive and enlightened. • Charter schools are free to pick and choose and exclude or kick out any student they want. They’re not supposed to, but in real life there’s no enforcement. Many impose demanding application processes, or use mandatory “intake counseling,” or require work hours or financial donations from families – so that only the children of motivated, supportive, compliant families get in. Charter schools publicly deny this, but within many charter schools, the selectivity is well known and viewed as a benefit. Admittedly, families in those schools like that feature – with the more challenging students kept out of the charter – but it’s not fair or honest, and it harms public schools and their students. REFORM: ANOTHER NAME FOR "TEACHER HATRED"
I think the Nevada State School Board is moving in the wrong direction and causing a lot of issues in CCSD. My priority would NOT be reform. 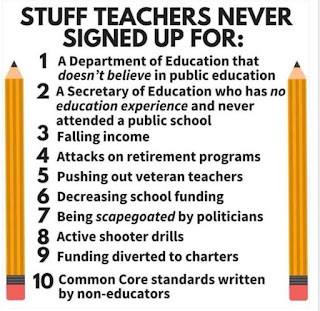 Reform is code for: HATE THE TEACHER. It does not work and it makes us mad. 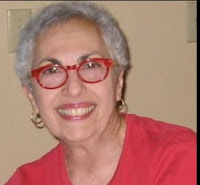 Reform is “teacher hate” bought by millionaire and billionaire eduphilantrophists. It is also known as union busting. 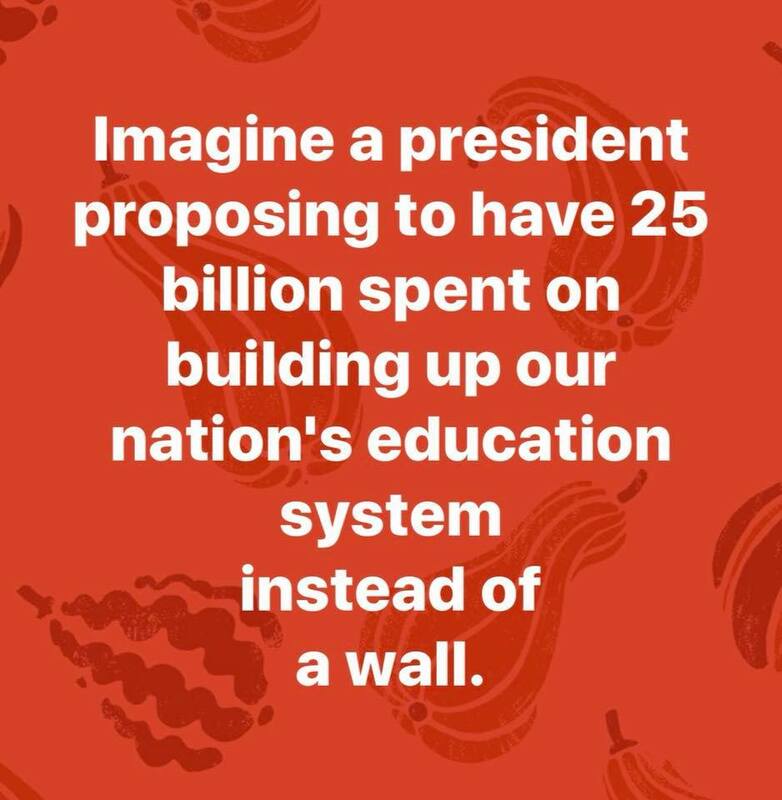 We do not need another well-funded group that hates the people in the classroom. You have abused us for a couple of decades and nearly ruined your school system. Enough. Will the legislators from these states understand the source of their states' teacher shortage? 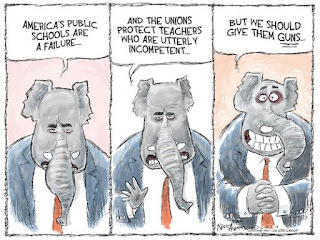 ...Now, in three of those states, Republican-led legislatures are retaliating, trying to pass bills that would make teachers' working lives more difficult. Pretty sure this OK legislator has legislator friends in Indiana. Oklahoma has worked hard to get itself in the front of the pack of States Most Hostile To Public Education. Maybe not number one (relax, Florida), but right up there. Ultra-low teacher pay. Slack charter rules. The kind of state where the idea for improving education is to gear it more toward providing meat widgets for employers. The kind of state where a serious idea about improving teacher pay is to fire half the teachers and give their money to the remaining teachers, who will all teach twice as many students. So it wasn't a huge surprise last year when teachers in the state walked out. While they didn't get everything they wanted, they were still confident that they has sent a message to the legislature. Apparently some legislators misunderstood the message. SHOULD SCHOOLS KEEP STATE MONEY WHEN STUDENTS LEAVE? Once again Indiana State Representative Bob Behning shows his preference for privatization. Charter's get closed school buildings for a $1 and when the charter closes their state loans are forgiven. Now Behning wants to give charters money that public school districts collect through referenda. 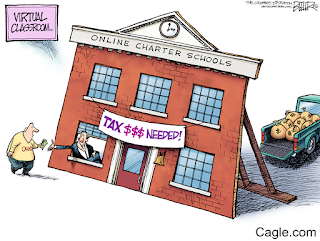 Will charters be audited on expenses like public schools? Will charters be required to serve all children? 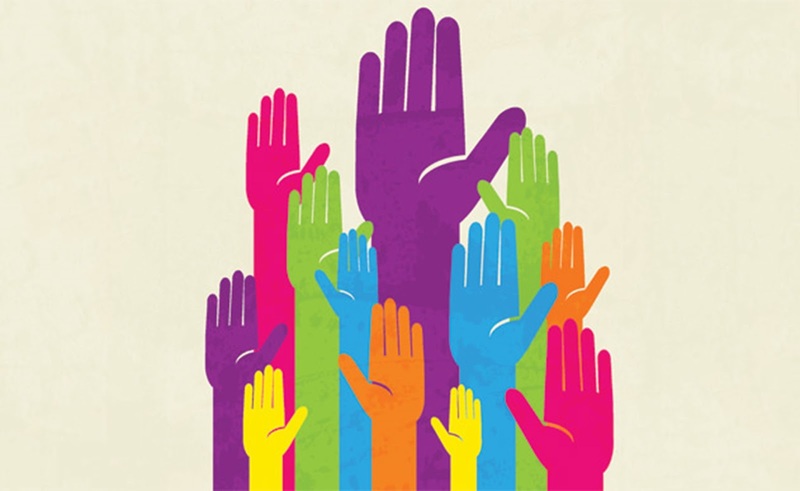 Will charters be required to hire certified teachers? The 'playing field' is not level. Charters don't deserve public school referenda funds. ...executive director of the Indiana Association of Public School Superintendents J.T. Coopman says the bill is just another way to strap districts for cash even further, as the state tries to figure out how to boost teacher pay. Some Republican lawmakers want district schools to share extra tax dollars approved by voters for buildings and facilities with nearby charter schools — but the idea is falling flat with some educators and Democrats. 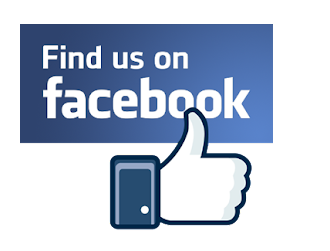 Too little is being done by the majority of our legislators to check the issues with virtual charter schools. House lawmakers have added three new amendments to a bill designed to rein in online schools: measures targeting student residency, absences, and teacher training. The new amendments unanimously passed Thursday and represented some of the few areas of bipartisan agreement over how Indiana should handle the troubled schools. Tougher proposals and amendments introduced this year and earlier have not gained traction with Republicans, who have been loathe to add regulations for charter schools in general. 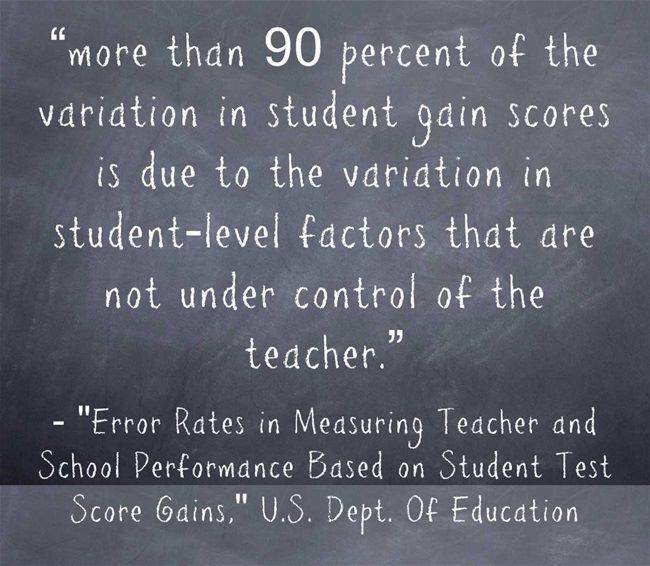 As a nation, we are hypnotized by standardized tests and the scores they produce. 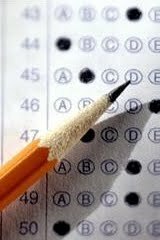 We forget that the tests and the answers are written by human beings. The tests are not objective, except for the scoring, which is done by machine. Giving the same bad questions to all students does not reveal who learned the most or who is smartest. They do reveal who is best at figuring out what the person who wrote the question wants them to answer. Southwest Allen County Schools Superintendent Phil Downs, who has closely tracked the financial effects of the voucher program on Indiana school districts, points out the cost of HB 1675 could double the cost of the state's voucher program. 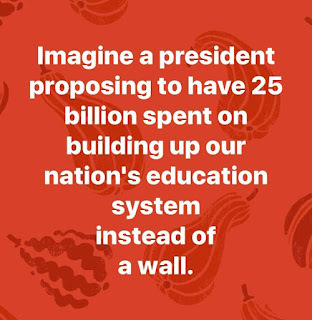 We keep looking for ways to fix public schools, but it's just as important for us look for ways to fix inequity and poverty. Our schools are just a mirror, reflecting the societal conditions our policy-makers, and we the voters, are unable or unwilling to correct. Until we focus on the source of the problem -- that some people are given rights and privileges denied to others -- we'll continue to fail. Attention Hoosier Legislators! 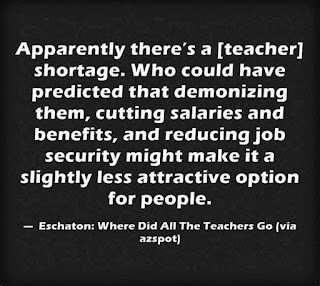 There is NO teacher shortage! For almost twenty years (at least) the profession has been insulted and downgraded. 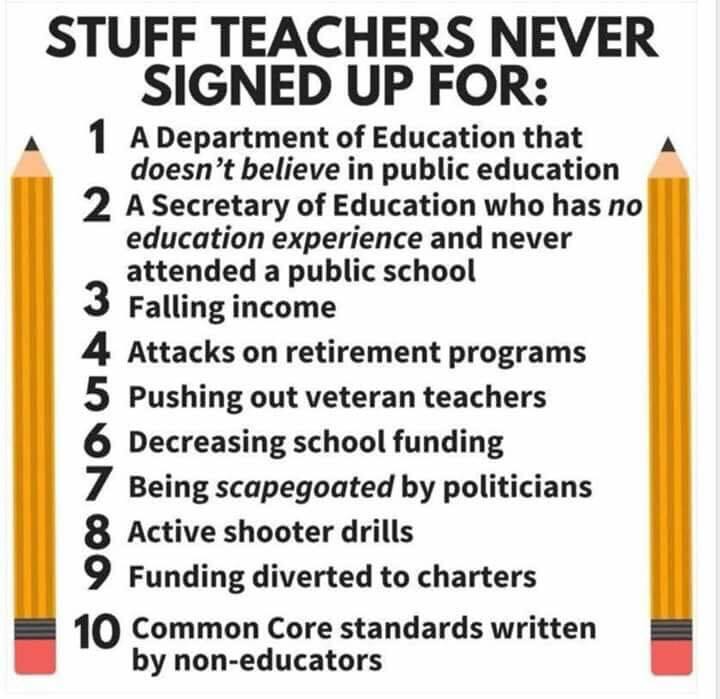 Reformy idea after reformy idea has been based on the notion that teachers can't be trusted, that teachers can't do their job, that teachers won't do their jobs unless threatened. Teachers have been straining to lift the huge weight of education, and instead of showing up to help, wave after wave of policy maker, politician and wealthy dilettante have shown up to holler, "What's wrong with you, slacker! Let me tell you how it's supposed to be done." And in the meantime, teachers have seen their job defined down to Get These Kids Ready For A Bad Standardized Test. This is a shocking development: The infamous billionaire Koch brothers have a plan to disrupt American education, beginning with five states. 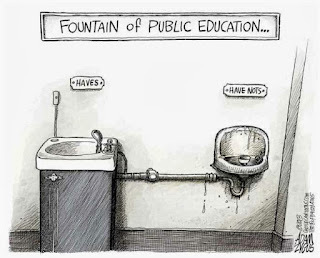 Their goal is to break up the public education system and enable public funding to flow to every kind of school, whether religious, private, homeschooling, for-profit, anything and everything. They call it “educational pluralism.” At the Koch Conference last year (700 people who paid $100,000 to attend), they declared that K-12 schooling was “the lowest hanging fruit,” and they planned to enter the field to disrupt public schools. 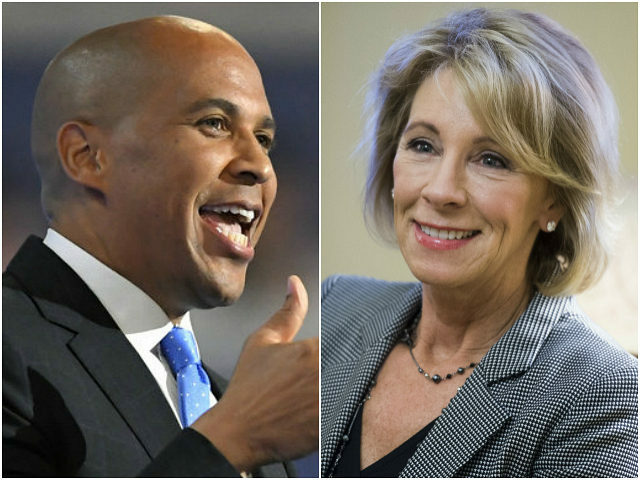 Their ally Betsy DeVos paved the way. WHERE WILL TEACHERS STRIKE NEXT? In Indiana, where pay for teachers is below the national average, educators have pushed for lawmakers to increase salaries and school funding during the 2019 legislative session. Union leaders are not ruling out a strike. Last year, they decided not to join the strikes that spread from West Virginia to other states, including Oklahoma, Arizona and Kentucky. The Indianapolis Star quoted union leaders as saying they would monitor the legislative session before deciding what to do. It said that although Indiana ranks about in the middle of states for teacher pay and class size, inflation-adjusted salaries for Indiana teachers dropped by more than 13 percentage points over the past 15 years. 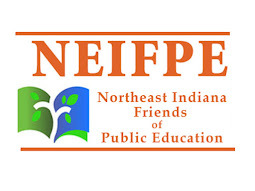 Indiana has one of the lowest per-pupil funding levels in the nation. Legislators are fast-tracking a bill to give Indiana’s governor unusual power over education. If House Bill 1005 becomes law, the governor will soon be one of only five in the United States with total control over who serves as chief state school officer and on the state board of education. The legislation would move up the effective date for having the governor appoint the chief state school officer. Current law gives the governor the appointment in January 2025; the bill moves the date to 2021. The measure also changes the name Indiana’s chief state school officer from superintendent of public instruction to secretary of education. It was approved last week by the House and sent on to the Senate.